bool(false) Where/how did you guys learn Ableton? Where/how did you guys learn Ableton? 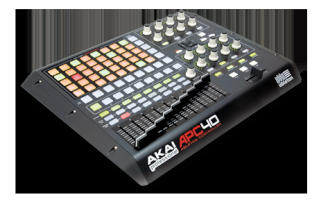 I'm looking into purchasing the APC40, but Im somewhat intimidated by Ableton. So I guess my question is pretty simple... how did you go about learning the software? Just buying it and digging in, or just through online tutorials, or what? I've watched countless videos on the apc40 and ableton, but most seem too advanced. I'm looking for something to give me a strong base of knowledge that I can build off... just because thats how I learn best. This is my first day on this forum, and I know there's always the new guys who make a post that asks too broad of questions... hopefully im not COMPLETELY being that guy. Maybe soon Ill know enough so I can start contributing to this forum, but for now I'm a learner. Thanks to anyone who replies. Re: Where/how did you guys learn Ableton? I can guarantee that everyone on this site will have gone through the same learning curve with Ableton. I dont class myself as an expert, but I know what I need to know. I purchased a book called Ableton Live Power and slowly worked myself through that. I also downloaded a few Ableton lessons from torrent sites and used lots of 'how to' videos on youtube (these are probably one of the biggest helps) Finally, forums are a big help. Ask lots and lots of questions, not matter how stupid they may sound. This forum, www.ableton.com and www.abletonlivedj.com. You will be suprised how easy everything is once you get your head around it and it just clicks. I have used cubase and reason in the past and find Ableton far easier. What is it you are going to use Ableton for? Producing or DJing? The forums above..... Without doubt, plus the help on this one! I guess i'll be using Ableton for DJing. I found some pretty good lessons in the trial version of ableton I have, which was nice. I haven't had enough time to really dig into any of the forums, but i think im ready to put some time into this. I might try a book or some more online lessons. Thanks for pointing me in the right direction... looks like I have a lot of reading to do.